Fuqua has started to get acquainted with the project, and he feels that the modern version of Scarface couldn’t have come at a more perfect time in American history. I read the script they have and it’s actually really interesting and very timely. We’re dealing with a lot of stuff now coming out of Mexico. And again, we still have those issues dealing with the “American Dream”, and the fact that the game is rigged, right? It’s not really an even playing field, but the promise is that it is. The promise is that everyone gets a fair shot, but that’s not always the case. So that’s always relevant, and right now with what’s happening in Mexico, which is where [the main character] comes from — he comes out of Mexico — that’s relevant, especially when you’ve got people talking about putting up walls and other kinds of stuff. We’re still dealing with immigration, we’re still dealing with what would turn someone into Scarface. It doesn’t take a political pundit to see that pretty much each time Scarface has reared its fictional head in popular culture, the twin themes of prosperity and immigration are always in the conversation. With the 1932 film focusing on the Italian experience, and the 1983 remake using the influx of Cuban refugees as its frame of reference, the story of a young man’s rise from the bottom to the top has always been a product of the American Dream and its influence. The world still focuses on such topics in popular discourse, so if a new version of Scarface was ever going to happen, the era of making America great again seems like as good a time as any. Reading Antoine Fuqua’s reasons for why modern America is ready for another Scarface only further convinces us that Fuqua is the man to bring the next incarnation of Tony Montana and Tony Camonte’s dreams of wealth and power into the 21st century. Not to mention, he’s showed off his remake / adaptation skills off a lot as of late, with The Equalizer and The Magnificent Seven both helping to cultivate his new found reputation as a man who can resurrect well known properties, yet still leave his personal mark through and through. 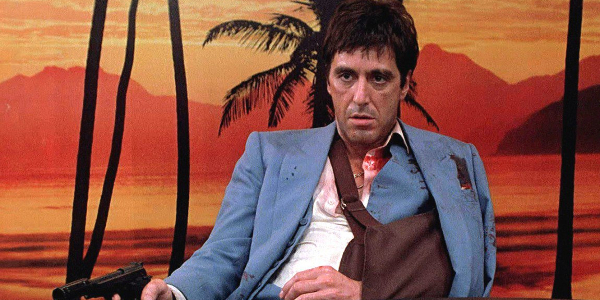 Ultimately, Scarface feels like a gig that’s up for the taking if Antoine Fuqua sees fit. Though both the box office performance of The Magnificent Seven, as well as any progress that has been made on The Equalizer 2, may have an effect on just how available Fuqua will be to push it to the limit. In which case, we’ll update you as soon as any final decisions have been made, and we’ll take this opportunity to remind you that The Magnificent Seven is going to hit theaters this weekend.